Every year around this time, we take time to reflect and plan for next year. If you are renting your current home but have dreams of homeownership, your plan for the new year may include buying, and you wouldn’t be alone! According to the 2018 Bank of America Homebuyer Insights Report, 74% of renters plan on buying in the next 5 years, with 38% planning to buy in the next 2 years! It’s no wonder that rising rental costs came in as the top answer! 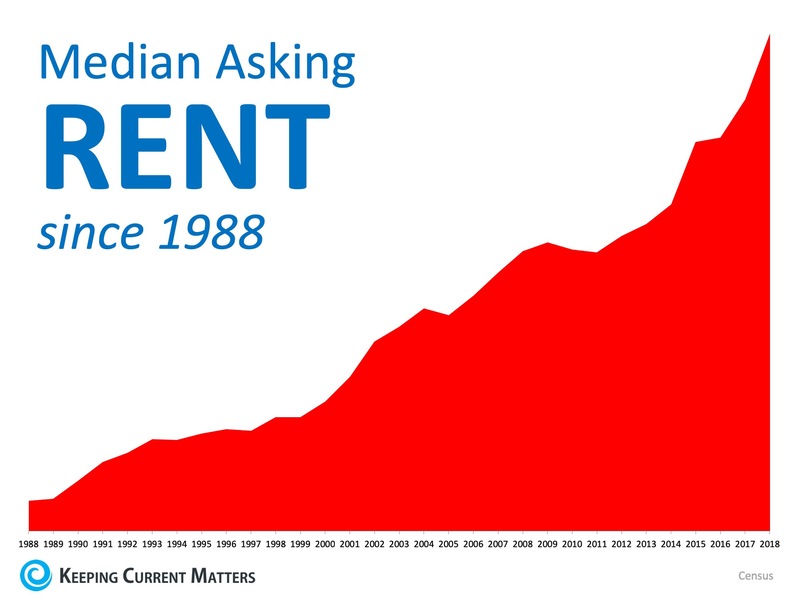 The median asking rent price has risen steadily over the last 30 years, as you can see below! There is a long-standing rule that a household should not spend more than 28% of its income on housing expenses. 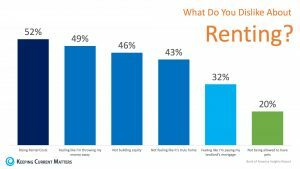 With nearly half of renters (48%) surveyed already spending more than that, and with their rents likely to rise again… why are they renting? 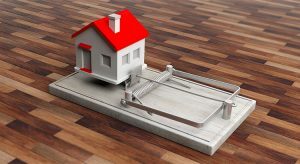 If the majority of those who believe they haven’t saved a large enough down payment believe that they need 20% down to buy, that means a large number of renters may be able to buy now! If you are one of the many renters who is fed up with rising rents but may be confused about what is required to buy in today’s Nassau County market, contact a local Berkshire Hathaway HomeServices real estate professional who can help you on your path to homeownership. © 2019 Amelia Island Nassau County Association of Realtors. All rights reserved. IDX information is provided exclusively for consumers' personal, non-commercial use and may not be used for any purpose other than to identify prospective properties consumers may be interested in purchasing. Information is deemed reliable but is not guaranteed accurate by the MLS or Berkshire Hathaway HomeServices Chaplin Williams Realty. Data last updated: 2019-04-21T13:50:09.837. © 2019 Northeast Florida Multiple Listing Service, Inc. All rights reserved. The data relating to real estate for sale on this web site comes in part from the Internet Data Exchange (IDX) program of the Northeast Florida Multiple Listing Service, Inc. Real estate listings held by brokerage firms other than Berkshire Hathaway HomeServices Chaplin Williams Realty are marked with the listing broker’s name and detailed information about such listings includes the name of the listing brokers. Data provided is deemed reliable but is not guaranteed. Data last updated 2019-04-21T14:25:16.637.